While there are many things that frustrate me about Delta SkyMiles (like their lack of transparency), there’s no denying that they also try to make improvements once in a while in some areas. One area where they’ve improved nicely is with adding reciprocal upgrade opportunities on some partner airlines. 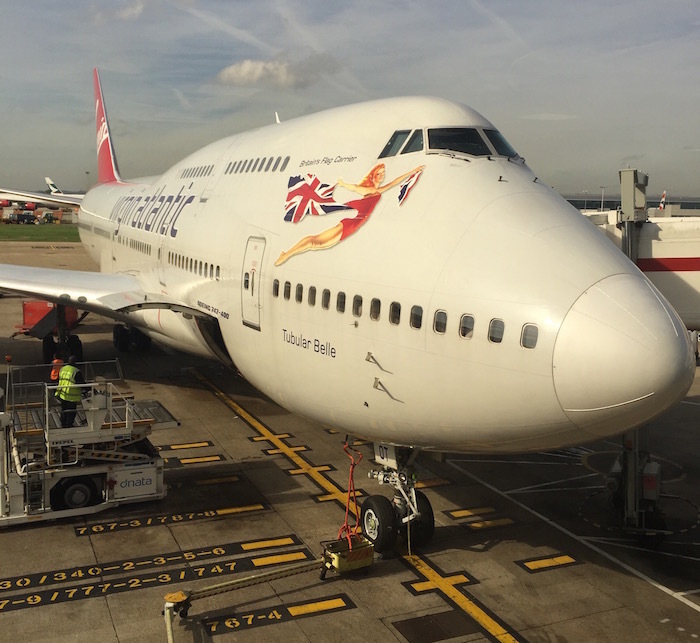 Delta has a transatlantic joint venture with Virgin Atlantic, and back in 2016 they added the ability for Diamond Medallion members to use Global Upgrades on Virgin Atlantic. It looks like they’re expanding that further now, as you can now redeem Delta miles to upgrade on Virgin Atlantic. Much like with award tickets, Delta doesn’t publish how many miles are needed for upgrades. That’s even more ridiculous than them not publishing award costs, since upgrade costs aren’t dynamic, while award costs are. However, last time I checked an upgrade from a Y, B, or M fare between the US and Europe cost 60,000 miles one-way, while an upgrade from an H, Q, or, K fare cost 80,000 miles one-way. I suspect the cost to upgrade on Virgin Atlantic will be the same. This is a terrible use of miles, as a one-way Virgin Atlantic Upper Class award can be booked for as little as 85,000 Delta SkyMiles (it was only 70,000 miles prior to April, at which point SkyMiles hugely devalued their award pricing). So upgrading costs only marginally less than outright booking an award ticket, and that doesn’t even account for the fare class requirements that Delta has. With mileage upgrades, Delta is clearly targeting business travelers who already have a paid economy ticket (presumably because that’s what their corporate policy dictates), but don’t want to fly economy. So while it’s nice that Delta has added this functionality, I don’t see this being of much use to those looking to maximize the value of their SkyMiles. Still, more options are always a good thing. It is 30K miles one way for an upgrade from Y or B fare on a purchased ticket on Delta flights not 60K. And since it is dollar based those tickets usually cost at least 3K dollars so you break even using miles to upgrade. My work will buy me a full fare Y economy ticket if the trip is over 14 hours door to door that i can then use to upgrade with miles or certificates, most expensive one was 5K dollars. I guess this could be useful if someone else pays for your coach ticket in one of the eligible fare classes, and you have no other way to upgrade. Do not waste your miles on this inferior product. The seat (at least on the A330, A340) and service are sub-par compared to Delta One (and many others). This thread https://www.flyertalk.com/forum/delta-air-lines-skymiles/1694851-skymiles-july-announcements.html gives data points on SkyMiles upgrade costs. Latest data points are that it is 30K/60K one-way. Still not great but a bit better. 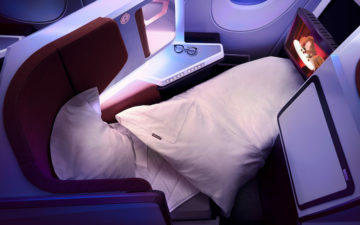 On Delta metal the upgrade costs are a bit more bearable because Delta upgrade space and award space isn’t all that closely correlated, and in particular Delta often seems to make upgrade space available close to departure, but closes off lower award buckets. So close to departure, where you would have the most success upgrading a Delta-operated flight with miles, it is likely that an upgrade costs far fewer miles than the award prices prevailing at that time. But on Virgin I believe they use the same fare bucket for awards and upgrades, so when these upgrades are available presumably you’d always be able to buy an 85K award as well. 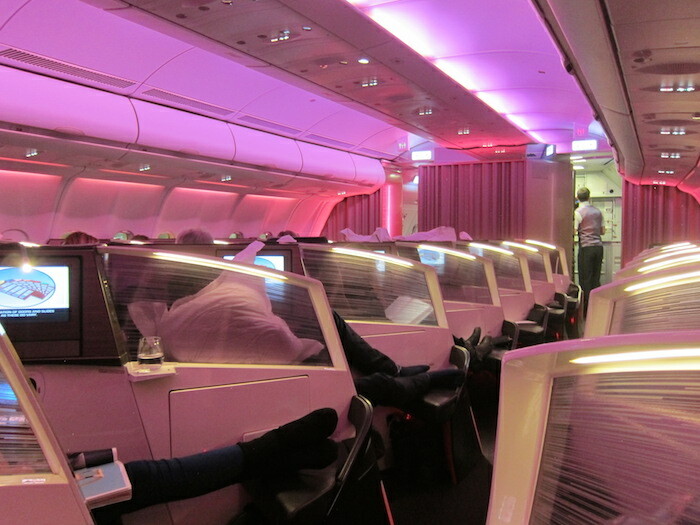 Can you still redeem delta miles for Virgin Atlantic flights? In 2016, any award flight that was available on Virgin I could book for 62.5K flight each way. Now when I look, I don’t see any virgin atlantic availability on Delta even if it is open on the VA website. What about upgrades from PE to Upper Class? Might that be a sweet spot like Air France’s 15K miles? I bought the $640 PE fare a while back NYC LON and was frustrated that I couldn’t use my SkyMiles to upgrade to Upper Class. I purchased VS Premium Economy (G class) LAX-LHR-LAX. The upgrade is 20k SkyMiles each way. Of course nothing available. Is there any way to monitor for upgrade space via expert flyer or another service? I was just able to upgrade Delta G class – premium economy on VIrgin for 20,000 Skymiles. Took a while, as it was the agent’s first time doing it, and she immediately said not possible at first, but I’m glad we both persisted, as I think it’s a great opportunity at roughly $200 at 1 cent per mile. I recently inquired about upgrading from Premium Economy to Upper Class on VA from a Delta purchased ticket and was quoted 20,000 miles. They agent also warned me that flights departing LHR are subject to an additional tax of $192 for upgrades to Upper Class. There was no availability when I called but was told there were plenty of seats open and to keep calling back to see if one cleared.